The Internet has finally done something good. After putting up with grammatically challenged cats and an insufferable dance that no Harlem denizen would take pride in, the Ben’s 10 Twitter contest proves there is still hope for this computer fad. My Muppet and I decided that the winning idea came from Nick Schroeder, who suggested nicknames in sports. Enjoy that iced capp, kid. Nicknames are one of the great intricacies of sports. Whether commenting on someone’s playing style and appearance (think about anyone ever named “Red” ever) or by simply affixing “-zy” at the end of a last name (go ahead, try it on yourself), nicknames add a creative flair to any team. Some nicknames have become so synonymous with athletes that we forget they have real names. So, for the last time this year, here are 10 of the most unique nicknames in sports. Honourable Mention – The Broad Street Bullies: Those Philadelphia Flyers in the mid-1970s were feared, loathed and above all respected for winning two Stanley Cups. This one’s for the Gordon-Lerman clan in Philly. 10) Al “The Mad Hungarian” Hrabosky: This raging reliever would walk off the mound after every pitch, talk to the ball, then turn around and try to melt the batter with heat vision. Definitely an apt nickname. 9) Bernie “Boom Boom” Geoffrion: This nickname came from the sound of the Canadien’s powerful slap shot. Incidentally, it’s the same noise that Memorial Arena made when it was unceremoniously dynamited last year. 8) Lawrence “Yogi” Berra: No, he did not steal pick-a-nick baskets, but seeing the Hall of Fame catcher on this list is like déjà vu all over again. 7) Anthony “Spud” Webb: A trailblazer for short guys and potatoes, his performance in the 1986 Slam Dunk contest was larger than life. 6) Frank “The Big Hurt” Thomas: He was big. He hurt the ball. Shakespeare was right: brevity is the soul of wit. 5) Pelé: Try fitting Edison Arantes do Nascimento on the back of a soccer jersey. Go ahead, I’ll wait. 4) Maurice “Rocket” Richard: Proof that I’m an unbiased journalist despite being an ardent Leafs fan. This is the second Canadien on the list! 3) William “The Refrigerator” Perry: Watching the 335-pound defensive tackle run it in for a touchdown from one yard out: sweetness. Wait, “Sweetness” is teammate Walter Payton’s nickname. Well, this is awkward. 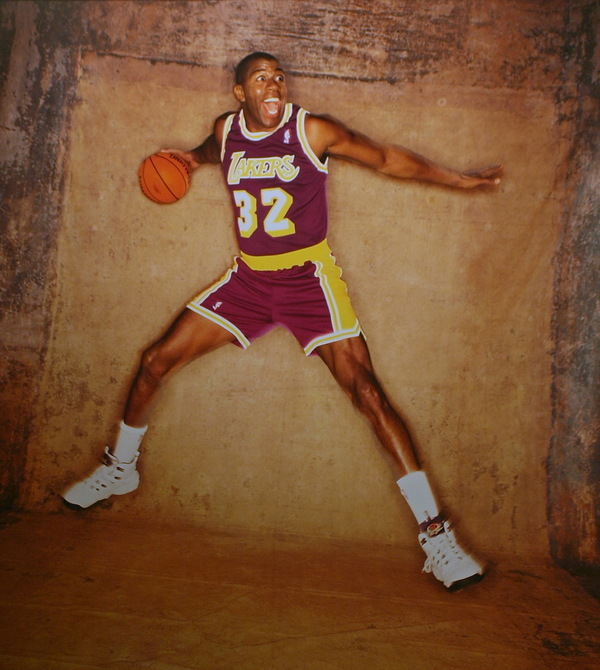 2) Magic “Earvin” Johnson: His nickname is so prolific that his real name is in quotation marks. 1) The 1970s Oakland A’s: Our first repeat winner. You can’t argue with nicknames like Catfish Hunter, Blue Moon Odom, Mr. October and Rollie Fingers. Plus, they had moustaches. Case closed.